I went to Donsol about three years ago together with Couchsurfers from Spain. There, I didn't join the whale-shark adventure because I just thought that I had an adventure when order was not yet in place in 2001. 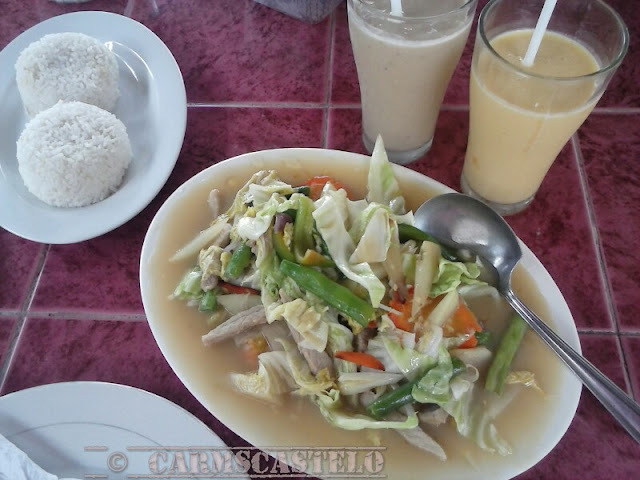 What I discovered while waiting for my companions was good food for Bicol delicacies, the laing. Recently, I went back to Donsol together with my family. While the weather was not good due to strong sea current caused by tail-end of the cold front, we decided to go because that was my only free time to be with them. One serving of chopsuey is good for 3 to 4 persons. 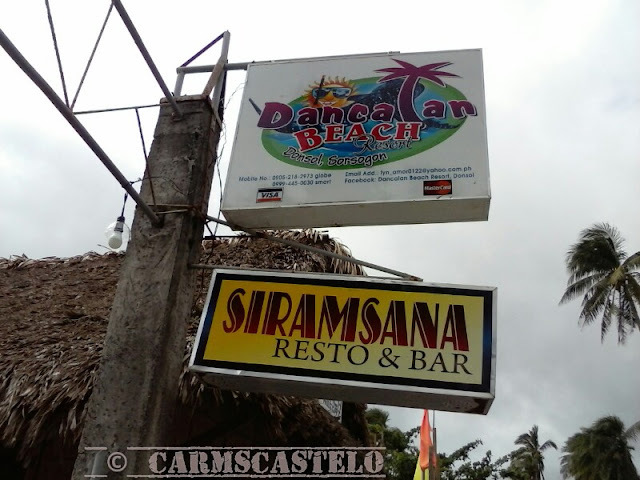 Compared to my experience about 10 years ago, I could say that Donsol has indeed evolved into a tourist destination friendly for both local and foreign visitors. Whether one is able to see a surfacing whale-shark or not, the plus point for me is good food. Good food is my requirement for every destination that I go to. In Dancalan, the barangay where the tourism center is located, tourists flock to register for the adventure and board the local boats. While waiting and as tourists return, they can savor the good food that the local restaurants offer. Take for example, Mommy Nem's restaurant, where we ate for lunch. The menu is just affordable and at a serving good for three to four persons already. Add more the mango and banana shake, perfect for a lunch by the beach while sniffing fresh air. 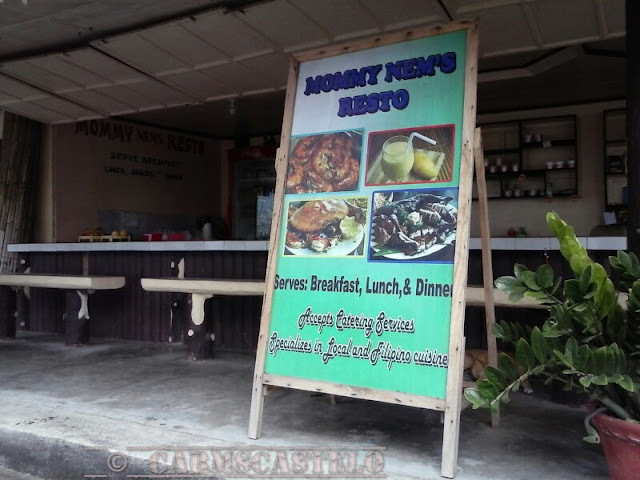 The neighbor restaurants are budget-friendly yet neat and with a nice view of the sea. Take for example the Siramsana Restaurant. It was there where I ate the locally made laing. For a Bicolano, who used to taste laing and can tell whether it has been prepared by a genuine Bicolano or not, I could say, "siram sana."